One of the major concepts in radio today is hub and spoke communication between sites and the ability to share resources. With the Multi BaseBrowser option, radio stations can transfer titles and soundfiles between different sites (databases). Running OmniPlayer on two or more sites at the same time, it’s possible to transfer titles and soundfiles between a local database and a remote database. 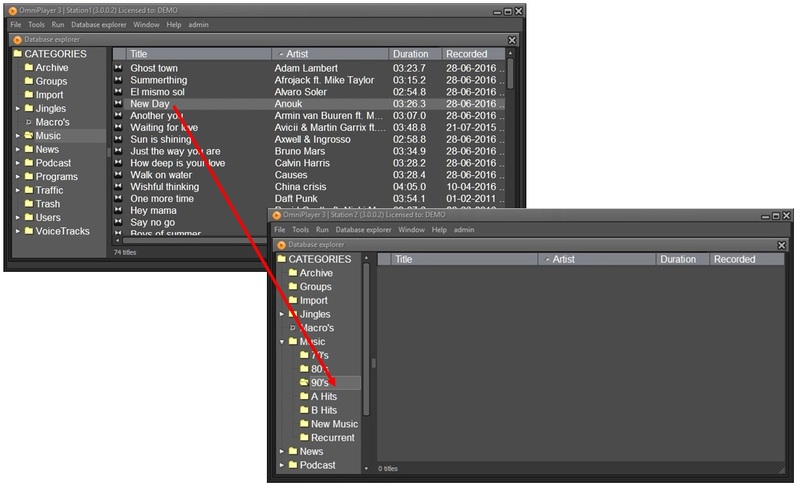 To send or acquire audio, you just drag and drop one or more titles from one Database explorer to the other one.